LOUISVILLE, KY (WAVE) - Yet another blockbuster concert has been announced for local country music fans. 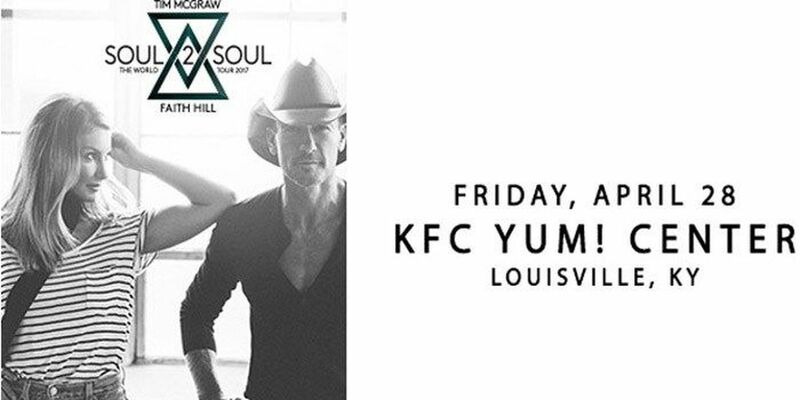 Tim McGraw and Faith Hill will play at the KFC Yum! Center in downtown Louisville next year. Louisville will be stop No. 7 in the duo's "Soul2Soul The World Tour 2017 Tour" on April 28. The 65-city tour kicks off in New Orleans and will mark the 10th anniversary of McGraw's and Hill's record-setting "Soul2Soul II" tour of 2007. It hasn't been announced yet when tickets will go on sale.